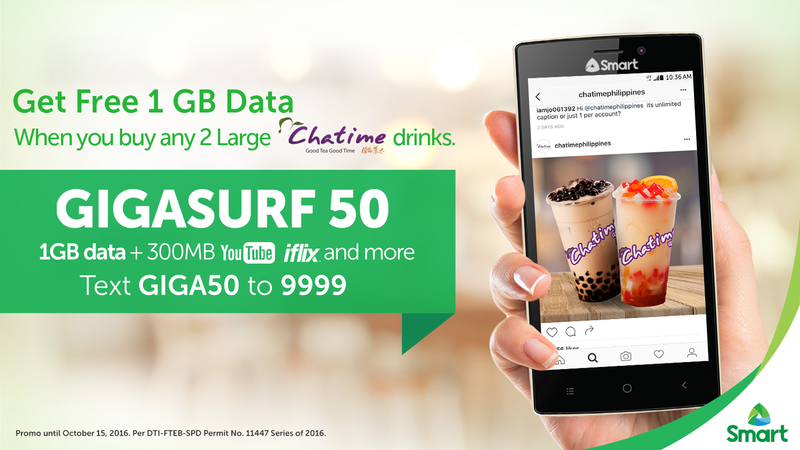 SMART together with Chatime is giving away FREE DATA upon purchase of 2 large drinks, yes you've heard it right. You can enjoy your favorite milk tea while surfing online with FREE data. This promo will happen every weekends until October 15, 2016. #SmartGigaSurf Na!!! Visit these participating stores now! Satisfy your milk tea cravings, and get something B1G from Smart!